Violinist Bing Wang joined the Los Angeles Philharmonic as Associate Concertmaster in 1994. She previously held the position of Principal Second Violin of the Cincinnati Symphony, and has served on the faculty and as Concertmaster at the Aspen Music Festival and School since 2003. Starting in 2009, she has also been Guest Concertmaster of the Shanghai Symphony Orchestra, her tenure highlighted by a televised New Year’s concert conducted by Riccardo Muti. As a soloist, Wang has won critical praise for her appearances with the Los Angeles Philharmonic. In September 1997, during the Philharmonic’s celebration of the Brahms anniversary year, she performed the composer’s Double Concerto with Music Director Esa-Pekka Salonen at the Hollywood Bowl. She made her Walt Disney Concert Hall concerto debut in May of 2005, and appears annually as both concertmaster and soloist at the Hollywood Bowl under the baton of composer John Williams, performing his signature movie classics such as Schindler’s List and his Fiddler on the Roof arrangement. 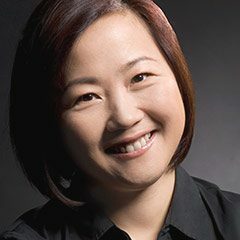 Wang has appeared regularly with the American Youth Symphony since 1997, and she has also been featured as a soloist with the Cincinnati Symphony, the Manhattan Symphony, and other orchestras. In 2002, she gave her first performances in China since emigrating to the U.S., touring as a soloist with her hometown orchestra, the Shanghai Symphony Orchestra. Active as a chamber musician, Wang has collaborated with such distinguished artists as Lang Lang, Yefim Bronfman, Emanuel Ax, Jean-Yves Thibaudet, among others. Chamber music appearances include performances at the Théâtre du Châtelet in Paris, the Palais des Beaux Arts in Brussels, and the Sanssouci Palace in Potsdam, Germany. She also performs regularly on the Philharmonic’s Green Umbrella and Chamber Music Society series. Bing Wang began studying the violin with her parents at the age of six. She entered the middle school of the Shanghai Conservatory of Music, where she was concertmaster of the school orchestra and graduated with highest honors. After coming to the United States to study with Berl Senofsky at the Peabody Conservatory, she received her Master’s Degree from the Manhattan School of Music, under the tutelage of Glenn Dicterow. Bing Wang has been named an Adjunct Associate Professor at the USC Thornton School of Music, starting in 2012.